A narrator who belongs in a fairy tale becomes lost among the indifferent streets of Dublin in this quirky, imaginative debut novel. 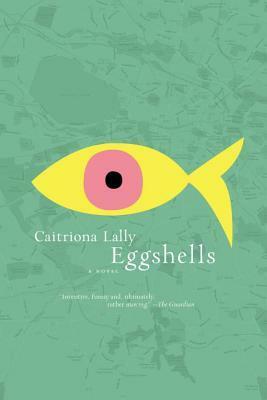 Caitriona Lally’s first novel, Eggshells, portrays an unbalanced but charming narrator stuck in an overwhelmingly complex Dublin, searching clumsily for home. In the opening pages, Vivian settles into the house she’s recently inherited from her great-aunt Maud, who “kept chairs the way some people keep cats.” This dusty, cluttered house suits the eccentric inheritor, who avoids mirrors and hygiene, preferring to cultivate her own “earthy tang.” Vivian believes that she is a changeling, fallen out of a world of fairies and elves and into this one by accident. Her daily chore is to find a magical door through which to reenter her rightful place in that other world. Unsurprisingly, Vivian’s obsessions and whimsies make modern Dublin’s other residents uneasy. She has few contacts: her nosy neighbors, given to shaking their heads; a flummoxed social worker; and an impatient older sister: “her world is full of children and doings and action verbs, but I’m uncomfortable with verbs; they expect too much.” The sisters share the same name, Vivian, although sharing is not the right word: the older sister comfortably inhabits the name, while Lally’s protagonist is forever displaced, lacking an identity of her own. Vivian walks the city and takes buses and cabs, exploring streets with promising names (Poppintree, Lockkeeper’s Walk, Ferrymans Crossing, All Hallows Lane) and performing tricks and charms–circling a particular pole three times, whispering to herself, and otherwise alarming passersby. She maps these routes and analyzes the shapes she’s walked, looking for meaning. She advertises her search for a friend named Penelope (“Pennies Need Not Apply”). Vivian is, in her awkward way, a giver: she leaves cryptic but (she believes) encouraging notes in books that she donates to charity shops, and €5 notes in the pockets of cardigans on sale in thrift stores. She makes lists in her notebook–names of birds, favorite sweets, museum artifacts–anywhere she might find weird words and possible anagrams. Vivian’s fascination with wordplay echoes Lally’s knack for language, and this emphasis is one of the great charms of Eggshells, a sweetly off-kilter novel about loneliness, communication and finding one’s place in the world. Vivian stumbles, and may never find the portal to the place she yearns for. But she makes shaky progress: acquiring a pet goldfish, throwing a dinner party of sorts, finding a new friend with traumas and eccentricities of her own. Eggshells is ultimately a funny, occasionally grim story centering on a sympathetic character who is either disturbed or a changeling from a fanciful world: it is for the reader to decide. This review originally ran in the February 16, 2017 issue of Shelf Awareness for the Book Trade. 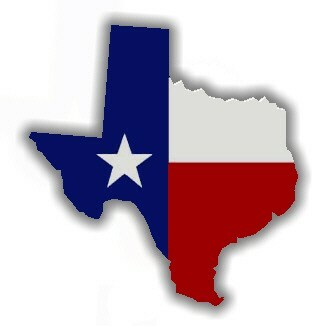 To subscribe, click here.